The Mumbai-based life insurance company, Kotak Life, is a well-known insurance company in India. The company’s vision is to become the best life insurer in the country. The values on which the working of the company is based are innovation, financial prudence, integrity, continuous improvement, people friendly, professional approach, and real value to customers. With the core purpose of the company being to add value to the lives of people by way of offering financial products for protection and long-term savings, the company has covered more than 20 million people throughout the country. As part of its purpose, Kotak Life offers numerous plans for prospective policy buyers to choose from. People looking for individual life insurance plans can choose from the many protection plans, retirement plans, savings and investment plans, and child plans based on the utility of the policy one is looking for. Under the group insurance category, the plan types available are group term plans, group credit plans, group superannuation plans, and group gratuity/leave encashment plans. 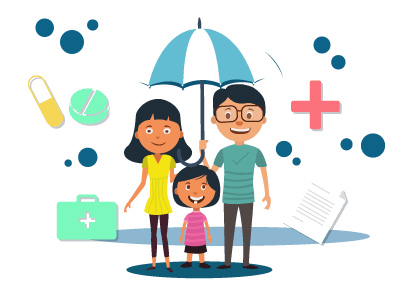 Like any other life insurance policy, plans offered by Kotak Life insurance, too, require the assured person to pay a nominal amount, called the premium, towards the policy. The payment of the premium ensures the policy remains active. An individual who is planning to buy a policy may narrow down on a few insurance plans that he/she thinks is suitable to him/her. The price of the policy or the premium could be the deciding factor in this case. The premium payable towards a life insurance policy depends on a number of factors like sum assured, premium payment period, policy term, and so on. In order to help the individual estimate the premium payable towards a policy, online premium calculators have been created. The online premium calculator aids a person in deciding which plan he/she should purchase and will help him/her plan his/her future finances too. Visit the official website of Kotak Life at https://insurance.kotak.com/kotakWebBI/. On the home page, scroll to ‘Insurance Plans’, and click on ‘Tools and Calculators’. On the redirected page, select the product category under which you plan to buy the life insurance plan and then select the specific name of the product. Then, click ‘Proceed’. On the next page, fill in all the details such as gender, date of birth, income, premium payment mode, etc. Once you’re done filling all the details, click ‘Continue’. On the next page, fill in all the details with regard to the plan you’ve chosen and click ‘Continue’. Once you have entered all the necessary details, you will be redirected to a page that will present your quote. Helps compare plans: The premium calculator makes it easy to compare plans from different insurers as well as the same insurer. One can compare the pricing of a plan with a low sum assured amount and a plan with a high sum assured amount. Time-saving: Enquiring about the premium amount payable over the phone or through meetings with agents will take up quite a lot of time. The online premium calculator, on the other hand, only takes a few minutes to present the quote. Cuts down costs: The premium calculator service offered by Kotak Life leads to the online buying option. Hence, one can choose how much he/she wants to be covered for and how much he/she wishes to receive as the maturity benefit and purchase the plan directly. There is no need of a broker or an insurance agent to buy the plan. Therefore, this cuts down on the policy costs. Kotak Life Insurance has premium calculators for all life insurance plans offered by the company. This is a beneficial tool that makes the life insurance buying process smooth and easy. Apart from the premium calculator, Kotak offers other online services such as premium payment option, file a claim, download statements, download application forms, locate a branch office, and so on.